Just recently, Lenovo Philippines introduced its new line of Phablet series which highlights the world’s first Tango smartphone. Augmented Reality (AR) technology took the country by storm this year just like the Pokemon GO hype. 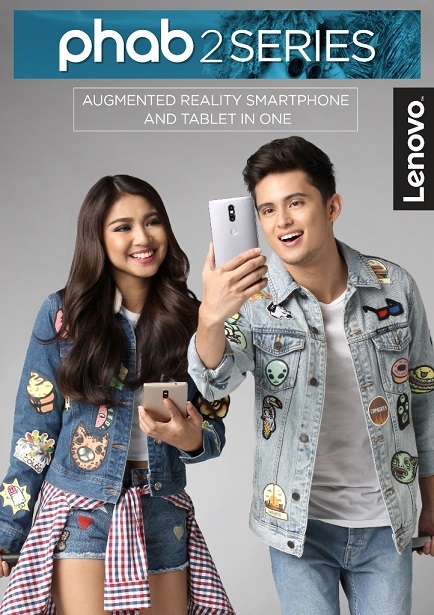 And Lenovo Philippines has just unveiled another reason to rejoice, that is, the introduction of the much-awaited Phab 2 Pro. Lenovo Phab 2 Pro, the world’s first Tango-enabled smartphone provides users an elevated AR experience with Google’s Tango technology. The said feature can map physical spaces and overlay it with virtual effects, track objects, and map indoor spaces. Those abilities allow for new types of apps, experiments, and designs that previously couldn’t be carried out on standard AR-enabled phablets out in the market. Buyers of the Phab 2 Pro are in for a treat as well, as Google recently launched 25 Tango-enabled apps on Google Play. Want to turn your living room into a scaled-down version of the Solar System? Well, the Solar Simulator app should be just right up your alley! Once enabled, the app can automatically scale the entire Solar System to fit inside your room. There are also other fun apps such as Raise which gives you a virtual 3D pet to take care of and Lowe’s Home Improvement which allows you to place items everywhere – a must for those looking in the market for new furniture as it simulates the appearance of an object inside the house before buying the actual furniture. Three core technologies bring Tango experiences to life: motion tracking, depth perception and area learning. Through motion tracking, the Phab 2 Pro’s “eye” sees its own location in 3D. Area learning tells the smartphone its location. Depth perception lets the device analyze the shape of the world around it by detecting surfaces and obstacles. And now for the first time ever, your smartphone can visualize and understand its surrounding objects and environment via sensors that capture more than 250,000 measurements a second. While Tango makes the Phab 2 Pro unique, the device stands on its own as a premium smartphone. It is powered by the Qualcomm Snapdragon 652 processor, which brings efficient hardware integration and processing, leading 4G LTE connectivity and cutting-edge time stamping and camera and sensor processing capabilities. Demanding computer vision processing is performed by a single, integrated and highly efficient Snapdragon processor with a tightly integrated suite of key modules including a DSP, ISP and integrated sensor hub. The Snapdragon heterogenous computing platform is optimally balanced for a Tango workload and is designed for all-day use. The Snapdragon 652 processor also quickly processes and time stamps all the rich sensor data simultaneously received from multiple camera sensors, gyro and accelerometer, resulting in a fast, smooth augmented reality experience, where 3D AR graphic overlays track more naturally to the physical surroundings. The Phab 2 Pro also features Dolby Audio Capture 5.1 with Dolby Atmos playback capabilities to help capture life’s moments on video with great quality audio. With Dolby Audio Capture 5.1, you can use crystal-clear 5.1-channel surround sound to record and share the full panorama of your life, adding amazing richness, clarity and depth to your special moments. Making this possible are three microphones, spatial capture with noise reduction, along with an onboard 16mp camera that supports crisp 4K video recording. Also, when you watch Dolby Atmos content over headphones, you’ll feel like you’re in the middle of the action on screen with immersive, moving audio. The 6.4-inch Phab 2 Pro boasts an intelligent Assertive Display with a pin-sharp QHD (2,560 x 1,440) resolution, capable of optimizing image quality based on ambient lighting and content.